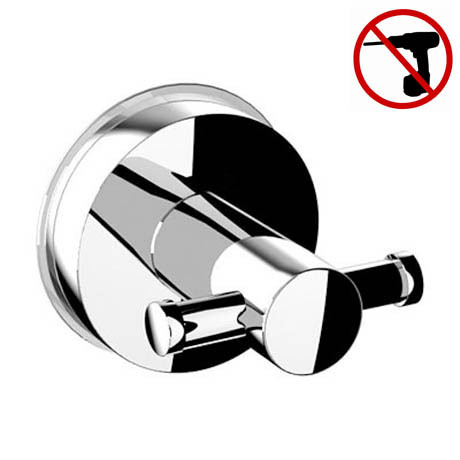 No screws are required to fix this Orion Quick Lock Robe Hook thanks to it's innovative vacuum lock system. It's suitable for fixing to glossy and non glossy surfaces and only requires a 60 degree turn to fully lock. The quick lock system is ideal for those with arthritis and the elderly and it never needs to be re-tightened. Made from high quality materials it is resistant to rust and flaking.